With Shadowhunters still four months away from its season two return, fans learned a lot about what we can expect in the new season. At the show’s New York Comic Con panel on Saturday it was revealed that the second season would premiere on Monday, January 2, 2017, at 8/7c, which gives it a new day and time slot. 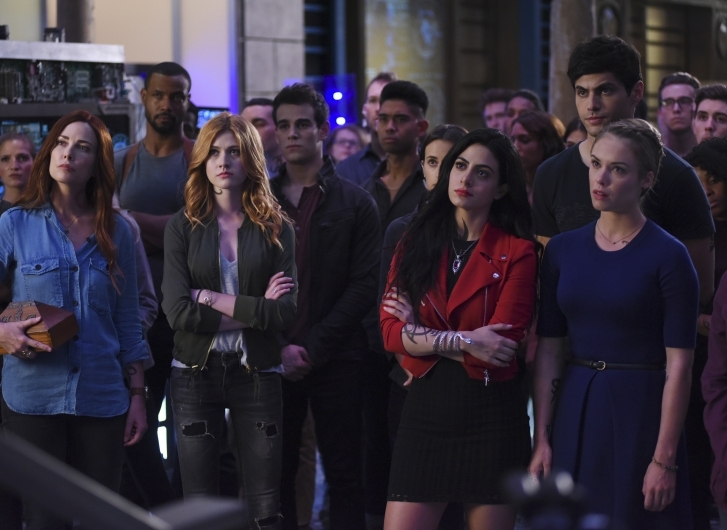 The second season of Shadowhunters returns with the Shadow World in upheaval with Valentine and The Circle continuing to grow stronger by the minute and our gang quickly becoming disillusioned with The Clave and their reaction to the recent events. Loyalties will be tested, unlikely bonds will be made, and relationships will be pushed to the limit as the Shadowhunters and their Downworlder friends make their own way in a new world. The new season of Shadowhunters is set to premiere in January 2017 on Freeform. Shadowhunters returns Jan. 2, 2017, at 8/7c on Freeform.